The romantic Barn at Camp Nellie took me to dreamland. With an outside wedding pavilion overlooking the pond and an old covered bridge. 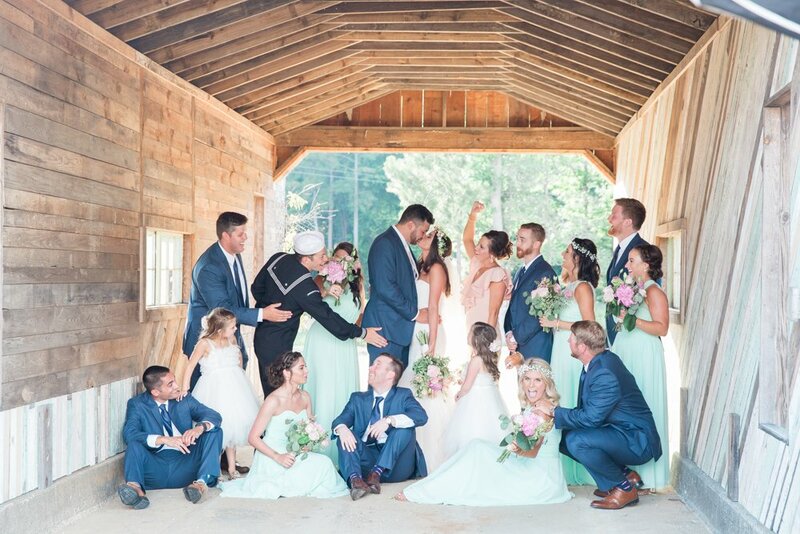 This rustic venue was perfect and Julianne, an artist, gave every detail that Southern touch. 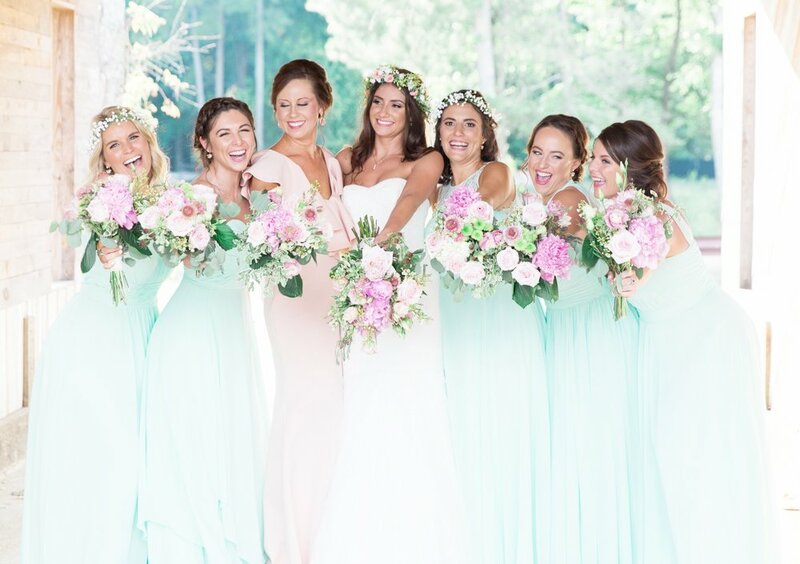 From the soft pastel palette of the bridesmaids dresses to the decor. Can I say cheers to seafoam and peonies which are my favs! The day included makeup artist Jessica of Awakened Beauty coming out and following the girls to give them photo touch ups. The personal details that made the day complete included koozies, a wooden plaque for the guests to sign and cocktail napkins. When you put it all together, at every turn, you can’t help at smile at the beauty of this day. 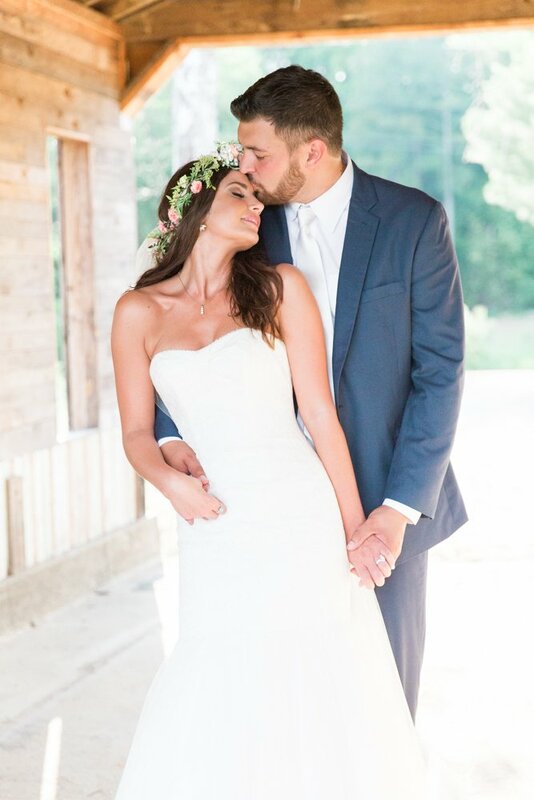 Julianne + Tom are like that model, magazine couple you’ll see in Southern Weddings. 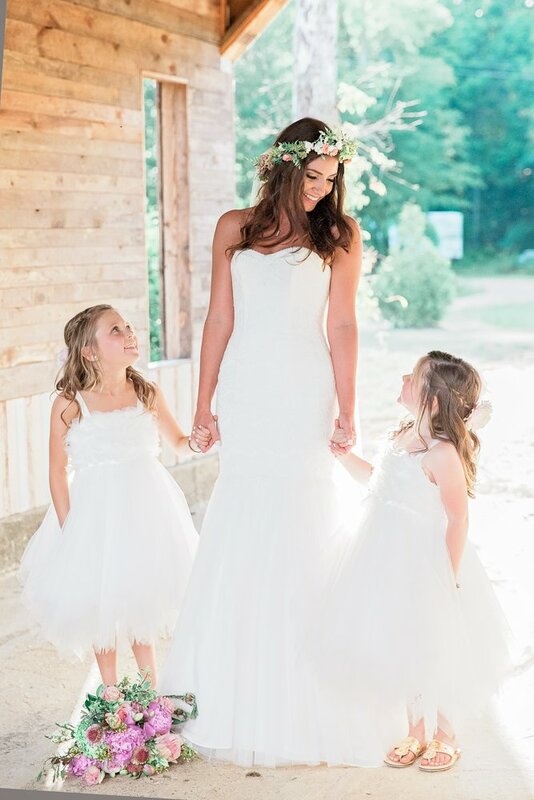 Even more, they are equally sweet and it was so much fun being part of their special day. Watching every one of the girls tear up during the ceremony, was a moment to cherish. The wedding party were such a delight even urging me to get on the dance floor. 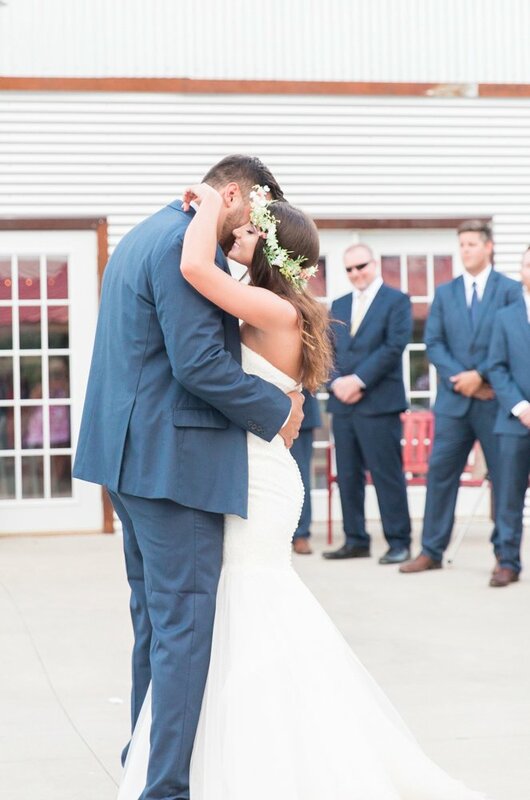 This wonderful couple truly had the best day ever.